Yep, I think everyone I was with made the joke at least once. Glad we got to see a few of them running around, even though the weather sucked. We just got from India where we did a safari in Ranthambore National Park to see a tiger…..alas we didn’t see one but funnily enough the guide/spotter pointed out a Dingo. Looked like a dog to me …. 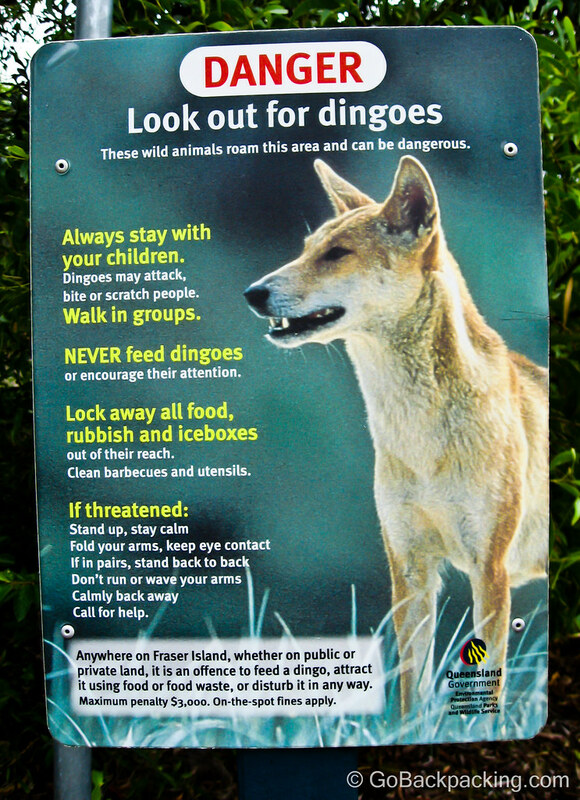 as an Aussie I didn’t even think there were Dingoes in India. Does anyone know if this is true? I thought about a tiger safari in India too, but didn’t have the time. I’ve never heard dingos mentioned in relation to India, but maybe he was using the name you’d know to describe their own indigenous wild dog. Haha, I actually tried to adopt one once! My Aussie bf thought I was nuts. HAHA! Dave you should submit this to the travel photography roulette game! Living the Dream started it and this week is Road Signs (this would work for it!) Although I shouldn’t be telling you because I want to win haha… but then the karma monster will get me!